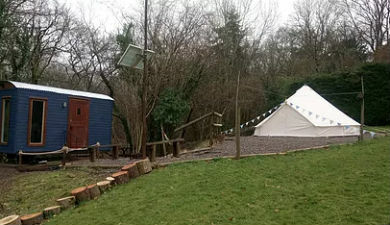 Camp Cynrig Glamping Tipi Village in the Brecon Beacons Wales is an ideal place for escaping the stresses of everyday life and enjoying a unique and very cool glamping experience in the beauty of the countryside. Within the immediate area you can take a lazy walk, following the river upstream and stopping for a swim or a picnic along the way or take a 2 minute walk to Cantref Adventure Farm for a fun filled day of games and animals – sure to keep the children entertained for hours! 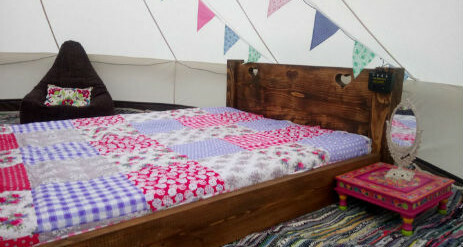 Back at the campsite you can send the children to collect eggs from our chickens to cook for breakfast on the open fire, or simply while away the hours lazing in the hammock and playing board or card games on the breakfast bar or picnic benches. 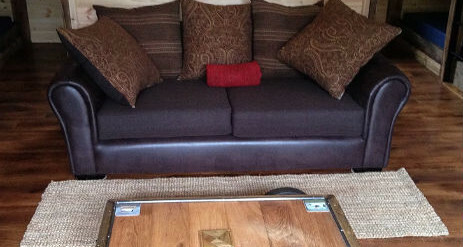 Let us transport you away from the trappings of modern life, however you like to unwind, this is the place to do it! 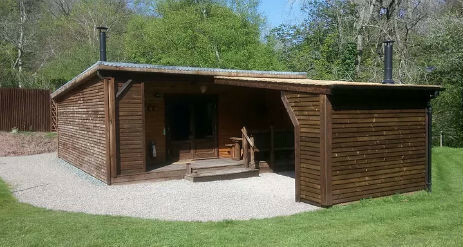 Situated in the heart of the Brecon-Beacons National Parks; an area of outstanding natural beauty. 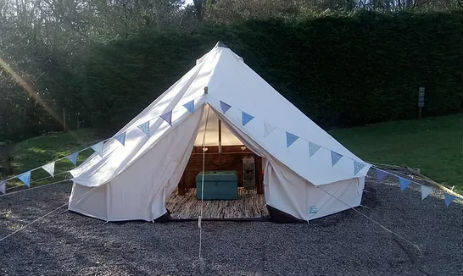 Our glamping site is approximately 4 miles from the historical cathedral town of Brecon and just minutes from the foothills of Pen-Y-Fan, in the heart of the countryside you will never be short of things to do. 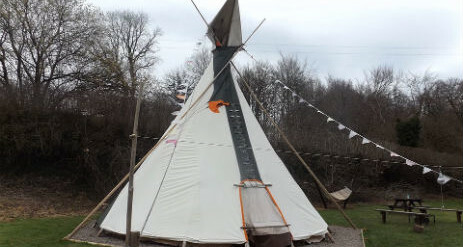 Our traditional Sioux tipis and luxurious Camping Cabin are set apart from each other in a gently sloping field, bordered by the river Cynrig in a quiet and peaceful area; you will not get a more perfect location. 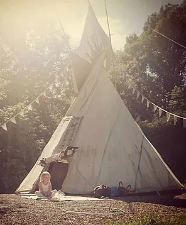 The glamping campsite is wonderful for kid’s adventures with ample space for them to play at being Indian braves whilst you relax and enjoy your peaceful surroundings whilst shrouded in rustic luxury. 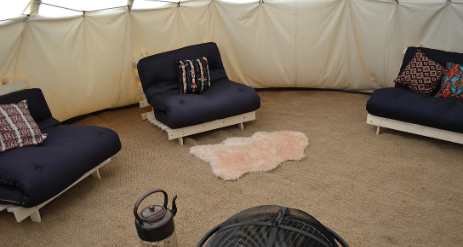 Fully equipped, well-lit, ventilated and cosy, the tipi is an opulent way to experience living with nature. All you need to do is arrive to a deluxe canopy under the stars, with everything ready and waiting for you, the hassle of normal camping has vanished. Just bring your own bedding, torch and food. 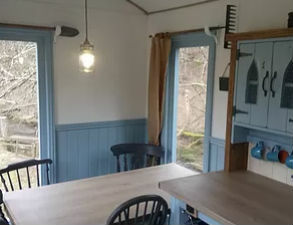 Why not take a look at our camping cabin whilst your are here and make a return trip to stay in our cosy cabin by the river. 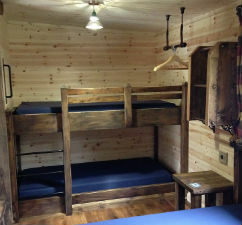 Our cabin is completely hand built and never fails to wow our guests. 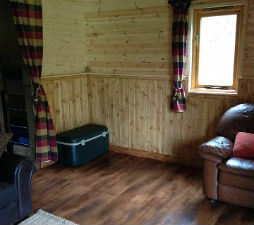 The fully insulated cabin will keep you warm in the late summer evenings and cool throughout the hot summer days. 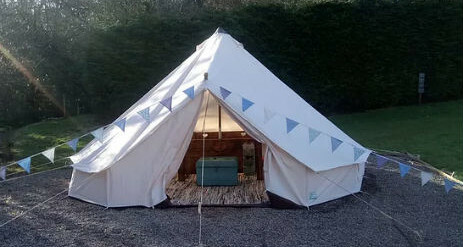 The Bell Tent with it’s own Shepherds Hut kitchenette is perfect for a romantic glamping holiday for couples with its private outdoor seating area shrouded in solar fairy lights. 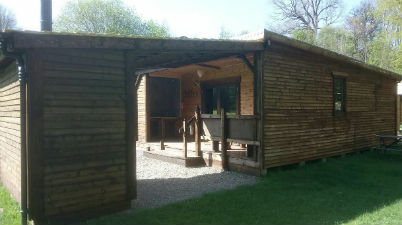 There is a TOILET AND SHOWER BLOCK on site hosting flush toilets and hot showers. With large, spacious shower cubicles, toddler toilets seats and steps for the sinks, looking after your children with our facilities will be a dream. The toilet and shower facilities are cleaned twice daily. The COMMUNAL KITCHEN BLOCK hosts gas cooking appliances, washing up facilities and a large dining table. 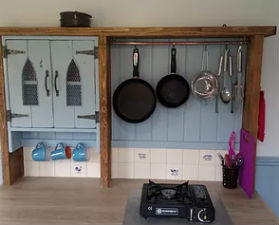 Within the kitchen block are solar powered USB charging points for mobile phones or tablets – there are lockers situated at the charging point so you can leave your device charge whilst you are out and about. As the site is completely off grid hairdryers and straighteners cannot be used – however, the site provide a 12volt USB mini hairdryer and set of straighteners for use by the guests. The kitchen block is also home to a wide selection of toys, games and books – including the giant garden games – for use by our guests. The prices above are based on two nights for two adults, children stay for free.